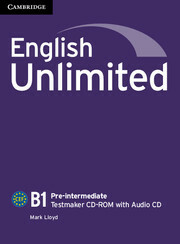 The English Unlimited Pre-intermediate Testmaker CD-ROM and Audio CD gives teachers the flexibility to create, edit, save and print their own tests. It is extremely easy to use but offers a range of functionality for those teachers who like the flexibility to adapt tests to their students' particular needs. 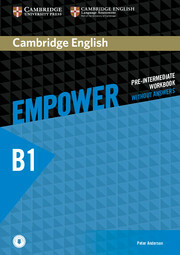 Teachers can choose from Progress tests for each unit and skills-based Achievement tests. 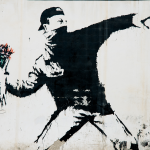 The Testmaker software can produce two versions of each test to prevent students from sharing answers. The Testmaker also contains all the audio required for test listening components, plus a comprehensive Placement test.